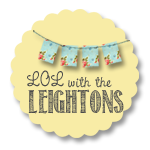 lol with the leightons: A Yeehaw for Y’all! I didn’t have to think too hard to know what my first one was going to be! Background: TLC went to the same state university where my husband got his business degree and where I graduated with my undergrad degree—10 years after him. Her four older brothers all went to bigger Texas universities. We couldn’t dynamite her out of our house. She pledged a sorority her first semester and even became President her junior year. Mom was proud. Taylor is one of TLC’s dearest friends. She also grew up in our hometown—was two years ahead of TLC in school. She became TLC’s Big Sis when TLC pledged their sorority. Taylor’s not only very special to our family, but is also a beautiful young woman who is smart, fun and extremely creative. She’s a Marvelous Mom—her 16-month old son is so darn cute, I want to be his Agent! 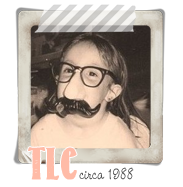 That had been my intention for TLC as soon as she graduated—just never got around to it. Almost six years later, I noticed, at the back of a Real Simple (one of my all-time favorite magazines) an ad by Campus Quilt Company. Then I flat kept forgetting to look for the sack I knew was full of those tees. When I finally located it, I hollered “Yeehaw!” (Okay, no, not really—I rarely actually say that) and contacted Campus Quilts by email to start the process. You put down a deposit and they send you a “kit” that explains how to go about “designing” your quilt. It was super easy. Well, actually, it was a tidbit challenging for me, only because I’m not creative. You’ve got to figure out how to lay it out the way it makes sense—in terms of colors, balance, etc. TLC and I accomplished this by me sending pictures via cell phone each time I moved a square. Campus Quilts can also help you do this. From the time I located the t-shirts until the day the quilt was delivered to me by UPS? A month. You pick a color for the back (TLC’s is khaki) and a “sashing” color (optional) for the front. We decided to do the “stadium” sized quilt—which was 16 squares, but you can get them smaller or up to king-sized. ELC you're too sweet! 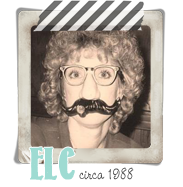 I have a lot of fun memories of sorority life and living with Miss TLC! I saw that very same ad in the back of my gifted Real Simples :) and had pulled up the website to check it out. So glad to know someone who has actually used the company. I think I have 3 bags full of sorority shirts that I just can't seem to part with. TLC's quilt turned out so cute! It's all the truth! You and TLC had some cute tees, didn't y'all? You have such an artistic "eye," Taylor, you'd have a blast designing yours. THANK YOU and hug your little celebrity fella for me (his future Agent), okay?